Blend onion, garlic and ginger with 2 tbsp water. Remove, pour into a small bowl. Mix with curry powder to form a paste. Brown tempeh on both sides with 1 tablespoon oil. Remove and set aside. In a large pot, heat 3 tablespoons oil. Add curry paste and curry leaves and stir for about 5 minutes until fragrant. Pour in coconut milk. Bring to a boil, season with salt. Add garbanzo beans, eggplant, and jalapeno peppers. Cover, reduce heat, and let it simmer for 5 minutes. Add long beans, cabbage, and tempeh and continue to cook for another 5 minutes. 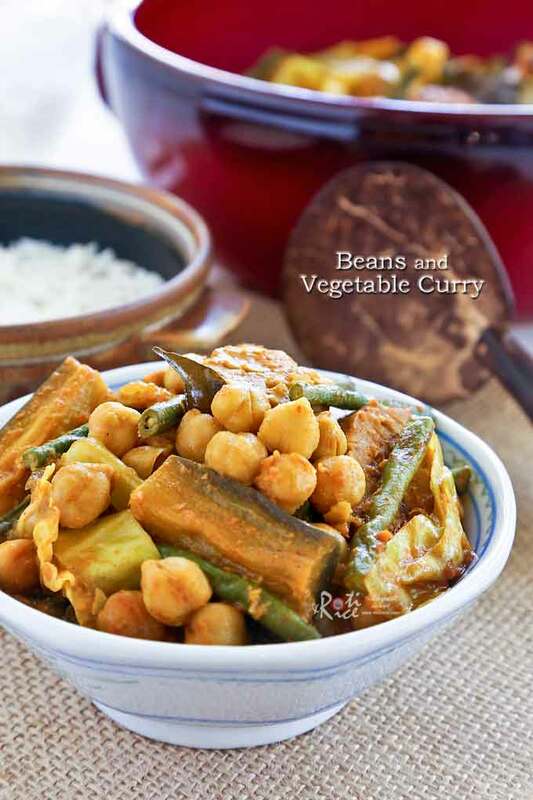 Serve this Beans and Vegetable Curry warm over rice for a delicious vegetarian meal. NOTE: This post was updated on September 24th, 2013 with new pictures. 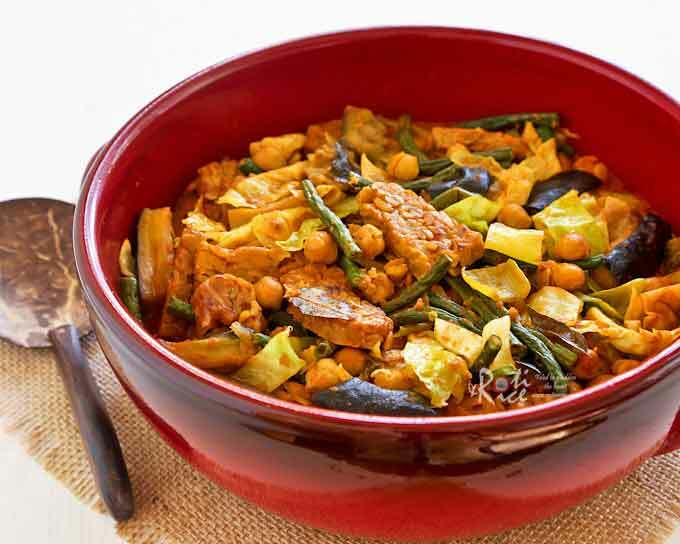 Tempeh and beans…..you have read my mind! I would love to serve them for the dinner! Delicious recipe!.. 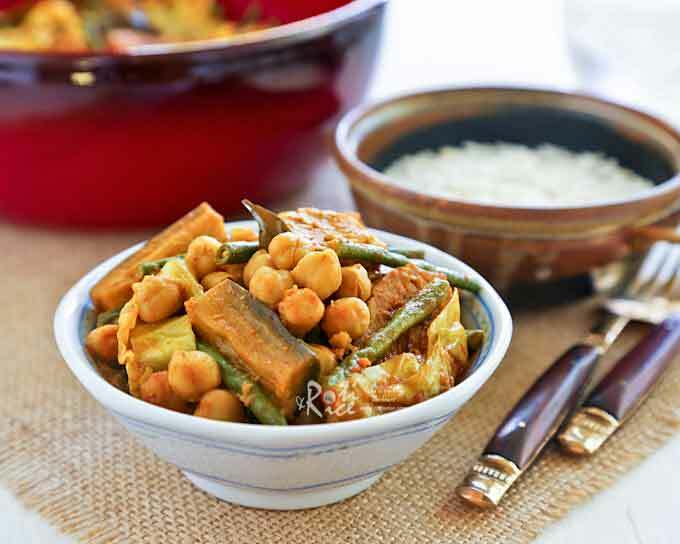 and nice blend of veggies:).. looks tempting and nice click! I love the combination of beans and veggies…I have to admit I've never had tempeh before though, it looks a little scary to be honest. Maybe I'll have to woman up and try it. 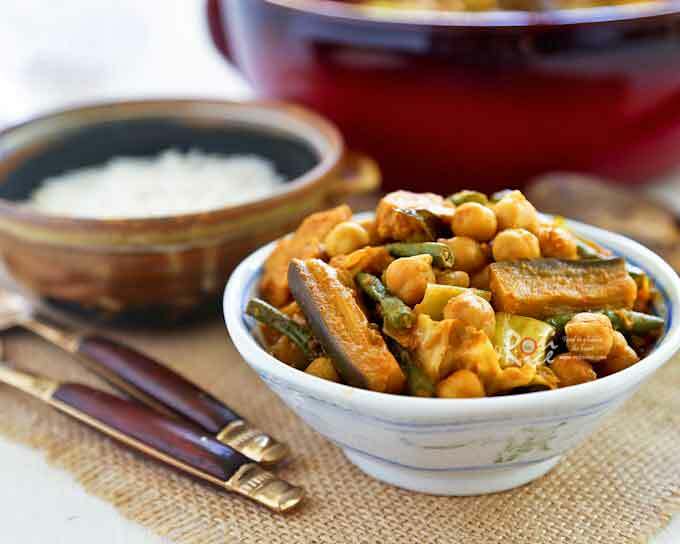 Angie's Recipe – The curry was delicious. Even my youngest son who prefers mild foods enjoyed it. Devi Meyyappan – I combined it with basmati rice, pappadums, and mango chutney. It was very satisfying…..
Jennifer@womanvfood – Tempeh has a nutty flavor and is really good. You should try it. A great dish to go with rice. I love it. Sadly I can't get tempeh here. Really miss that. It's a great dish for my family! 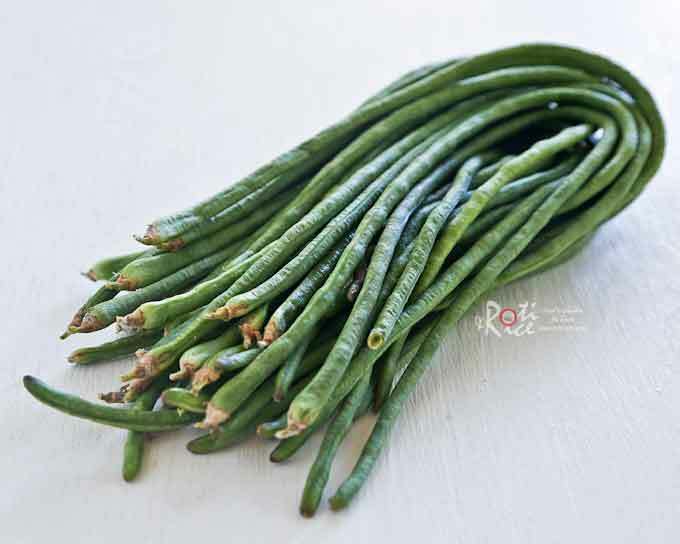 We especially love the beans in curry, including snake beans, green beans, that would add a natural sweetness.